in today's video tutorial, I used some die cuts to create a masked background. You could also achieve this look by using a cloud stencil. I blended inked over top of the masks using Tumbled Glass Distress ink - my favourite ink for a bright blue sky. 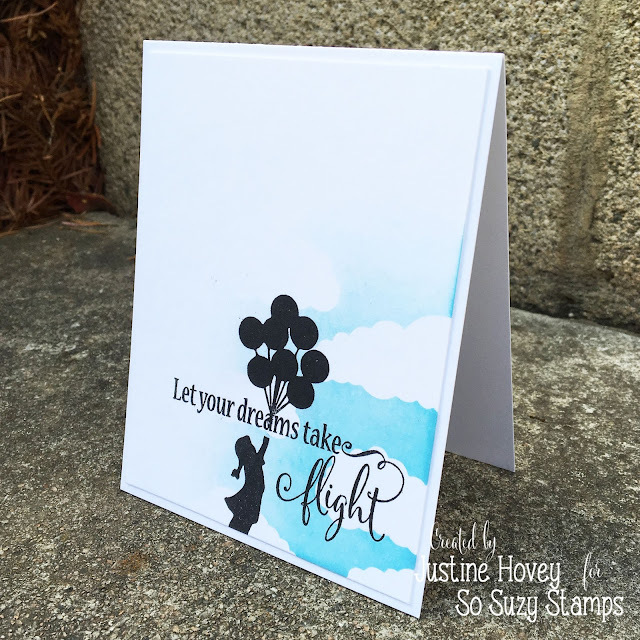 I then stamped over top to create a very quick and easy card!